The fun at Six Flags doesn’t stop when the weather gets colder! 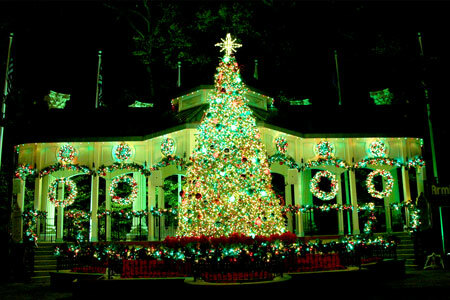 At various parks from New Jersey to Georgia to California, Six Flags transforms into a holiday wonderland. 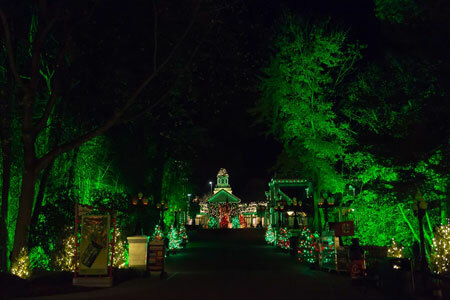 Christmas lights are strung as far as the eye can see, festive music fills the air, and there are dozens of attractions to suit the whole family. 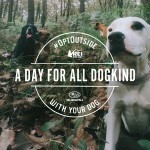 You can hop on a ride, visit with Santa, sip hot cocoa, warm up near a fire pit, and so much more. The fun festivities vary from park to park, so be sure to check out what your local Six Flags has to offer this holiday season! 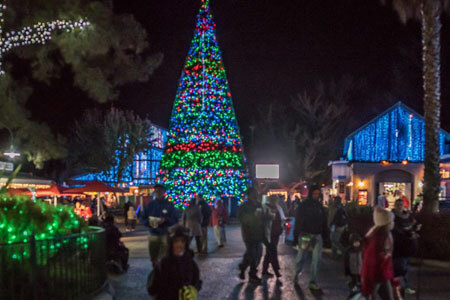 The holidays at Six Flags Magic Mountain are, well, magical! While there’s fun to be had all over the park, the Holiday Square sounds like the place I’d like to linger. Thousands of colorful Christmas lights illuminate the square, carolers stroll the streets, and snowflakes intermittently fall each evening. 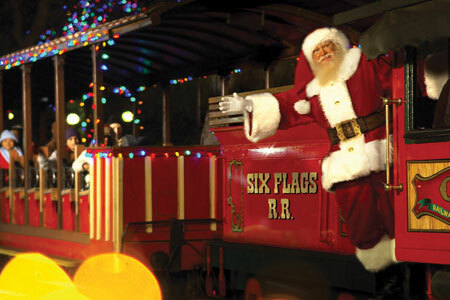 Click here to purchase tickets and here to check Six Flags Magic Mountain’s holiday hours. If you live near Six Flags Discovery Kingdom, you’re in for a real treat! This park has special holiday attractions that you won’t find elsewhere, such as the 4D Arctic Adventure, life-size toys in Toy Land, and a holiday show featuring dolphins. While you’re there, you can also watch a synchronized light show, slide down a snowy slope, and meander through a Christmas tree forest. Click here to purchase tickets and here for Six Flags Discovery Kingdom’s holiday hours. 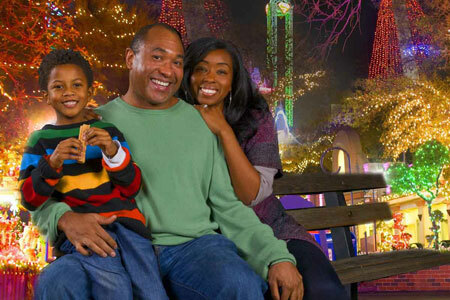 Atlantans have quite the smorgasbord of holiday activities at Six Flags Over Georgia. Hop aboard the North Pole Express, step inside a giant snow globe, roast marshmallows over a fire pit, or simply stroll the streets to soak up the beauty of this winter wonderland. Plan to arrive early so that you don’t miss the ceremonial Christmas tree lighting that occurs every night at 6 p.m. And, that’s not all—in honor of National Ugly Sweater Day (today!) you can get into the park with half-price admission when you wear your tacky holiday sweater. 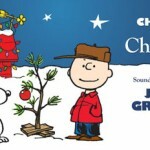 Click here to purchase tickets and here to check Six Flags Over Georgia’s holiday hours. 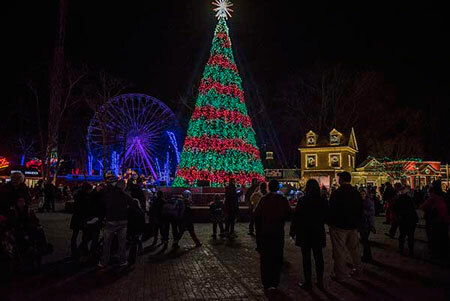 At Six Flags St. Louis, you can enjoy dozens of holiday attractions: sparkling Christmas lights, roaming carolers, thrilling rides, and so much more! Kids will be giddy to walk through the Candy Cane Forest as they make their way to Santa’s House. 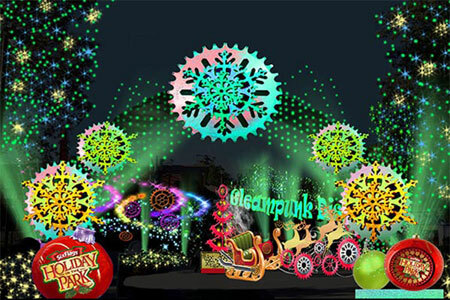 Everyone will enjoy the vast display of lights and decorations, light and music shows, and plethora of sweet treats. Click here to purchase tickets and here for Six Flags St. Louis’ holiday hours. Not too far from both Philadelphia and NYC, Six Flags Great Adventure has something for everyone. In addition to the thrilling rides and activities for kids, there are also several ways to slow down and enjoy a magical moment with your sweetie. Stroll through the path of glowing trees, snap a picture at various photo op spots around the park, or pause for a moment under the mistletoe. Click here to purchase tickets and here to check Six Flags Great Adventure’s holiday hours. They say that everything is bigger in Texas, and the holiday celebration at Six Flags Over Texas is no exception! Holiday crafts, train rides, various performances by local talent, spectacular Christmas lights, and sledding are just a few of the jolly activities you’ll find at this park. With so much Christmas in one spot, you’ll surely head home filled with holiday cheer. Click here to purchase tickets and here to check this Six Flags Over Texas’ holiday hours. This winter season, many rides continue to operate at Six Flags Fiesta Texas, and I’m sure it would be especially delightful to ride the Ferris wheel at night to see all the glowing Christmas lights. Other things to enjoy here include the Holiday Express train ride, Santa’s Castle, and lots of holiday shows. Click here to purchase tickets and here to check this Six Flags Fiesta Texas’ holiday hours. At Six Flags America, you experience a heartwarming good time. In addition to the lovely lights, delicious victuals, and classic Christmas attractions, you can celebrate the season with a New Orleans twist as you watch a parade in the Merry Masquerade area. Then walk down Candy Cane Lane to watch the elf stunt show, Defenders of the North. Click here to purchase tickets and here to check Six Flags America’s holiday hours.